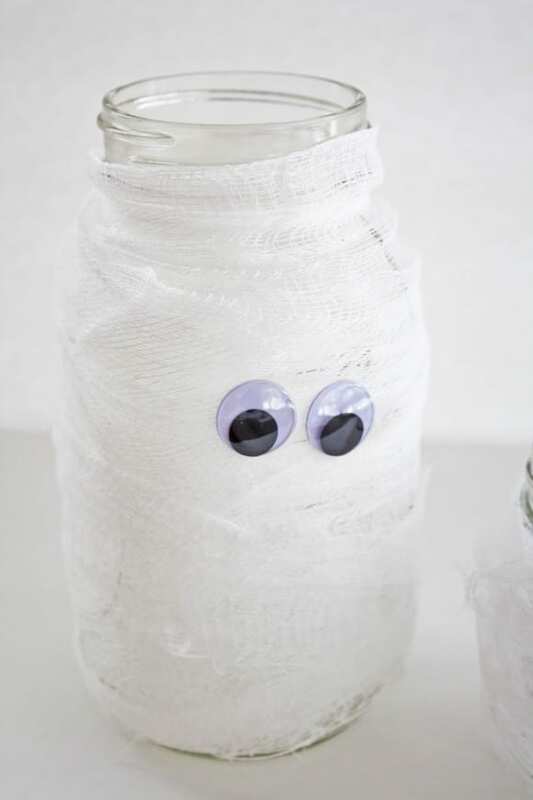 Use this Halloween mummy mason jar DIY to light up your front porch on Halloween! 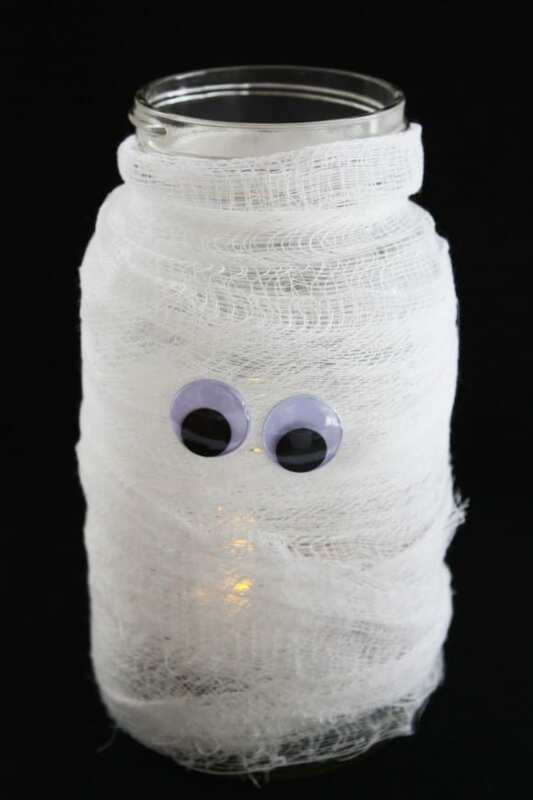 Just place battery operated white tealights inside so they're safe for the kiddos and watch your doorbell ring! This is such a fabulous idea, I'm going to make some for our house on Friday. Cut cheesecloth into strips. 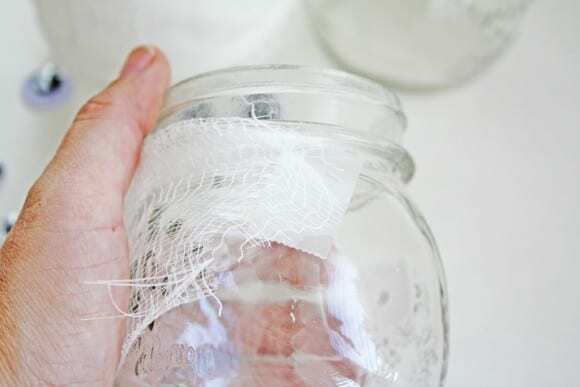 Wrap the strips around mason jars, overlapping as you go around. Tape them into place. 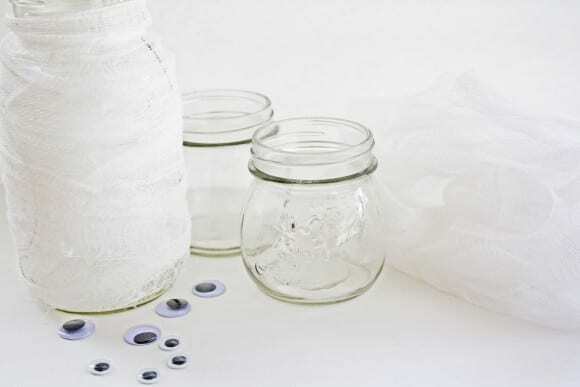 Use hot glue to glue on the black wiggle eyes. 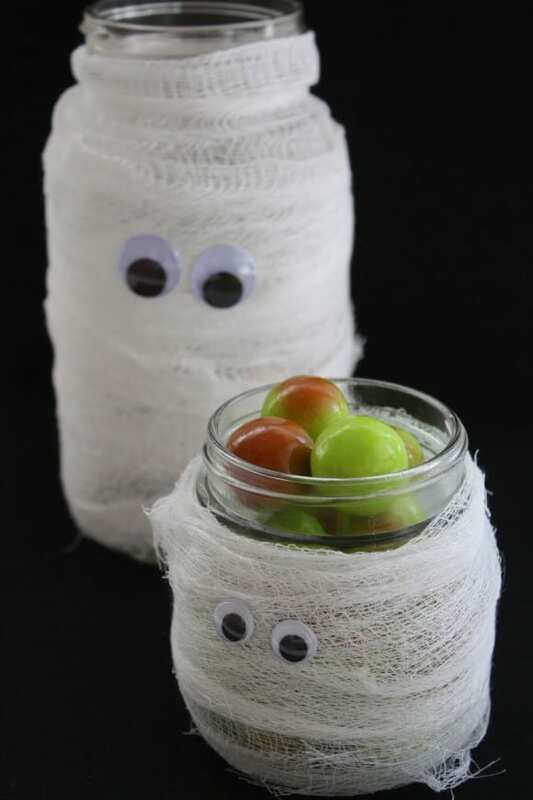 Try different sizes to give your mummies personality. 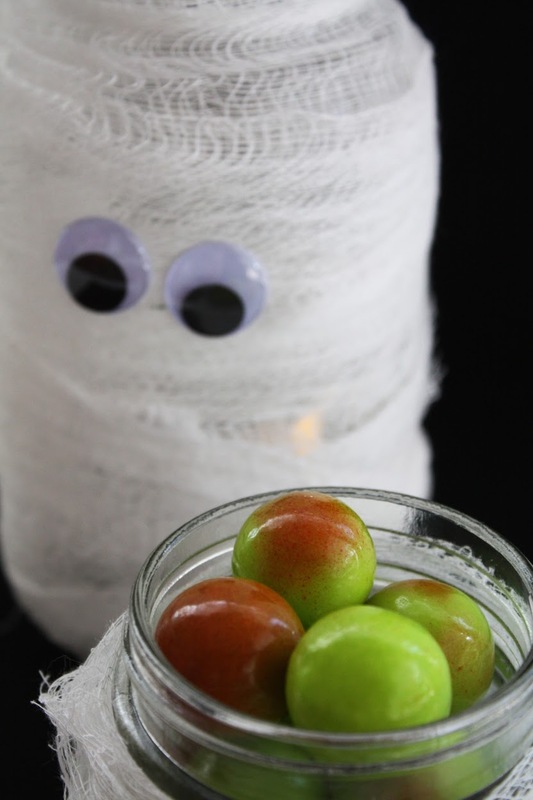 Add a battery operated tealight candle for an eerie glow or fill with yummy Halloween candy! 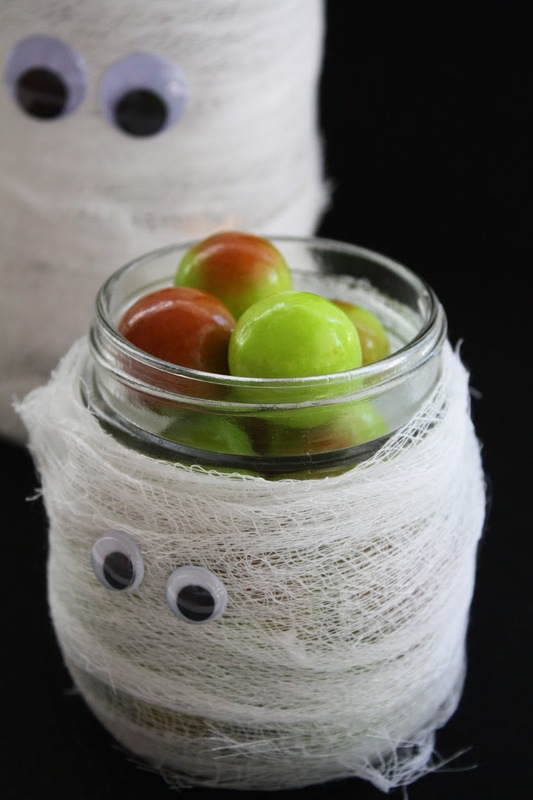 These make great party decorations or party favors. 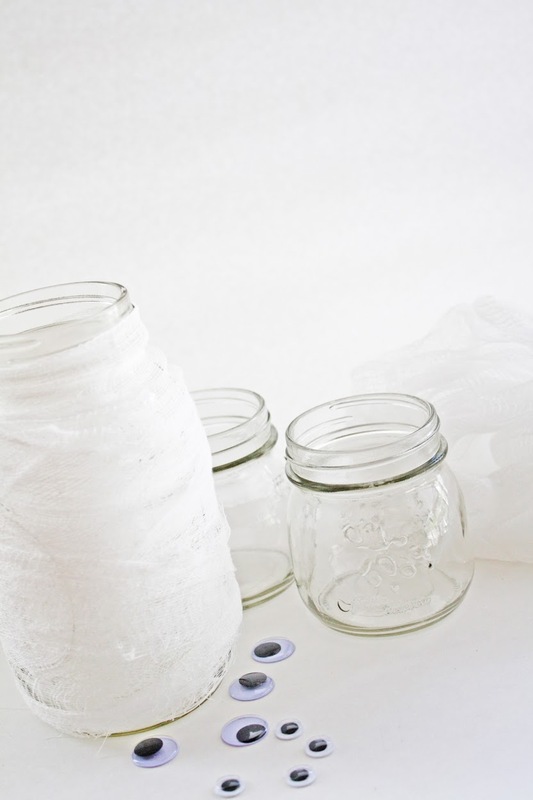 Easy enough for your toddler to do! Your kids can even use them as nightlights! 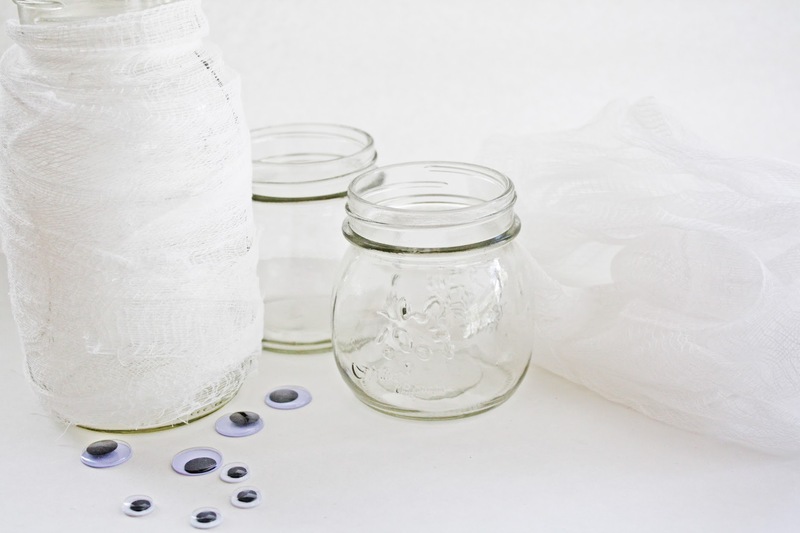 This post was created by our craft contributor, Shauna at Ella and Annie Magazine. To see more of Shauna's work, check out Ella and Annie Magazine and visit her on Facebook, Twitter, Instagram, and Pinterest.